This week baby is the size of a fig, just over 1.5 inches crown to rump. 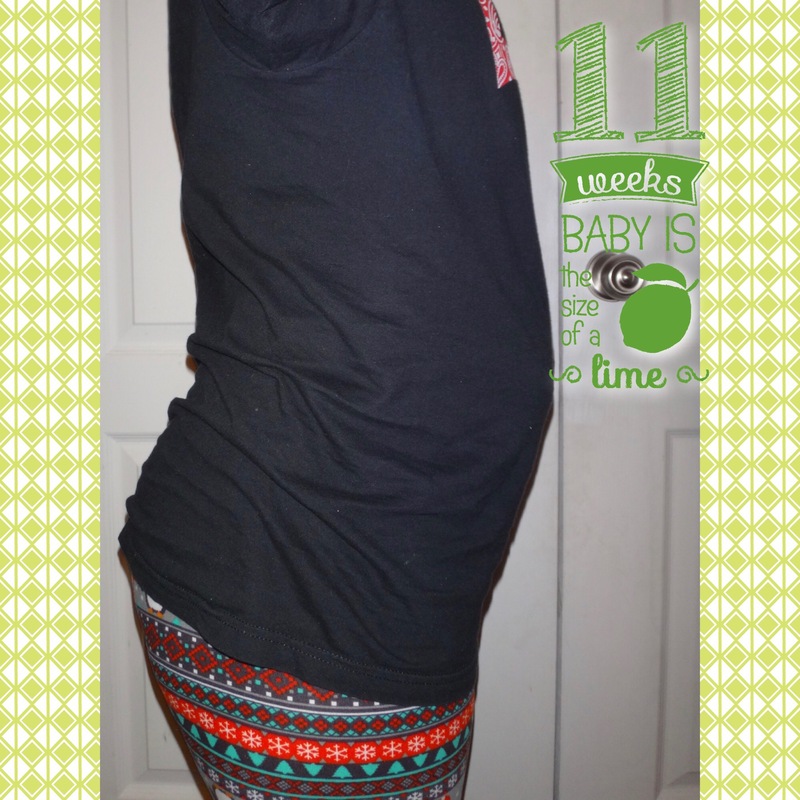 Only two more weeks left of the first trimester! And just that much longer to be on this progesterone! I am excited to stop taking it. I mean, its scary but at the same time, I may be able to get back to normal. I’ve been constipated from it for what seems like forever. In other news, my symptoms are starting to get better. I really have had a pretty easy time during my pregnancies. This one has been no different. I have noticed that my appetite is better but I still have aversions to food in general. I am still pretty tired in the evenings but I am able to last a little bit longer here lately. I still get winded easily. Insomnia is still a big problem. I wake at least 2-3 times a night and it is hard to go back to sleep. I often wake around 4:30 and don’t go back to sleep. Its really frustrating and no wonder I’m tired. I have been having heartburn at night so I’ve been taking tums before bed. It isn’t triggered by any certain food. I can eat something as plain as toast and still get it. I am still always cold too. I had my iron and hemoglobin checked with my prenatal labs and it was all normal so I don’t really know why I’m cold. I have been able to find the heartbeat still, mostly on my left side. Baby kind of scared me the other day as it took me quite a while before I found it. When I finally did, it was way over on my left, I’ve never had it so far over, so I decided to check it the following day too, just to put my mind at ease. I found it pretty easily that time. I usually don’t check more than a couple times a week but I was worried and figured that warranted an extra check. I am so excited for the next couple of weeks. This trimester is quickly coming to a close and I will be well on my way to baby day.